DENIM (which gets its name from the French for "from Nïmes" (de Nïmes)) is a rugged cotton twill textile, in which the weft passes under two (twi- "double") or more warp threads. This twill weaving produces the familiar diagonal ribbing of the fabric, which distinguishes denim from cotton duck. It is characteristic of any indigo denim that only the warp threads are dyed, whereas the weft threads remain plain white. As a result of the warp-faced twill weaving, one side of the fabric shows the blue warp threads, the other side shows the white weft threads. This is why jeans are white on the inside and what makes denim's fading characteristics unique compared to every other fabric. 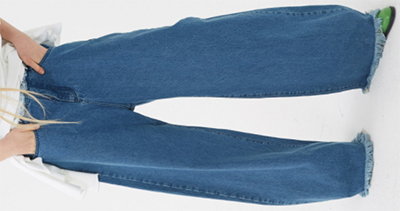 JEANS are trousers made from denim or dungaree cloth. Often the term "jeans" refers to a particular style of trousers, called "blue jeans" and invented by Jacob Davis and Levi Strauss in 1873. Starting in the 1950s, jeans, originally designed for cowboys, became popular among teenagers, especially members of the greaser subculture. Historic brands include Levi's, Lee, and Wrangler. 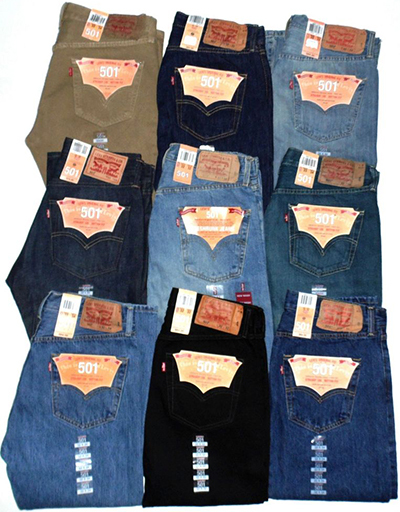 Jeans come in various fits, including skinny, tapered, straight, boot cut, Narrow bottom, Low waist, anti-fit and flare. 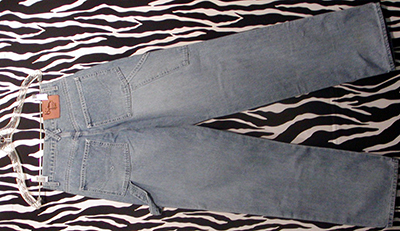 Jeans are now a very popular article of casual dress around the world. They come in many styles and colors; however, "blue jeans" are particularly identified with American culture, especially the American Old West. 5 women on how to find your dream jeans - The Telegraph. 7 ways to update your denim for autumn - The Telegraph. 10 Most Expensive Jeans Brands in The World 2018 - World's Top Most. 10 Most Expensive Jeans in the world - Fine Tailored. 10 of the best embroidered jeans to get Amal Clooney's playful weekend look - The Telegraph. 10 of the best men's denim jackets - The Telegraph. 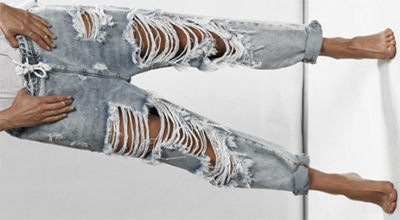 25 Most Expensive Jeans In The World - List25. Amal Clooney exhibits polished airport style in leather jeans - The Telegraph. Are skinny jeans still fashionable? - The Guardian. Are the '90s favourite bootcut jeans back in style? - The Telegraph. Best Designer Denim Spotted on the Spring ’17 Runways - Vogue. Best Japanese Denim Labels Every Jeans Collector Needs to Know - Vogue. Breton Shirts - men's Denim shirt. Breton Shirts - women's Denim shirt. Brigitte Macron makes a case for skinny jeans - The Telegraph. Denim brand mocked online over a pair of $168 THONG jeans that are made up of just a waistband, pockets & seams - Daily Mail Online. Forever in blue jeans? Levi's shakes off its troubles by embracing the past - "The 165-year-old denim brand had faded – but it seems to have hit its stride once more, and is reportedly considering going public." Forget denim trends, here are jeans that will actually flatter you - The Telegraph. Grown-up denim for the sophisticated man - The Telegraph. 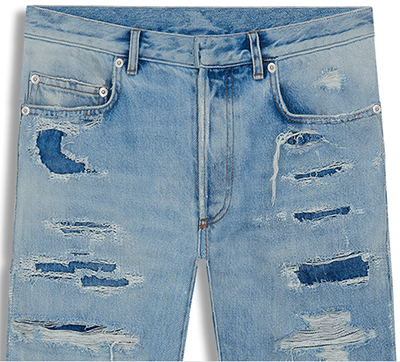 Have you heard the one about the £300 faux-mud splattered jeans? - The Telegraph. Here's evidence the mere denim jacket is making a comeback - The Telegraph. How to wear white jeans in a modern way - The Telegraph. How Vetements Created the Jeans of the Season - and What the Brand Is Doing Next - Vogue. How Victoria Beckham & Khloe Kardashian helped kill the skinny jean - The Guardian. I'm over 53 and won't stop wearing jeans - The Guardian. Isabelle Huppert leads the stylish set in jeans - Cannes Film Festival 2017. Jean Stories - "Fashion site about everything denim." Jeans, steel-lady loafers & chic jackets - "How Theresa May is reimagining political style with her conference wardrobe." Levi’s, Whose Jeans Are a Rugged Symbol of Americana, Prepares to Go Public - "The maker of denim and Dockers will start trading this week, a milestone for a 165-year-old company that has experienced a resurgence in the past decade." Mood indigo: this season's denim - in pictures - The Guardian. Review of the AG Nomad Slim Fit Jean - Wikipedia. Rockins’ new denim collection will be the most flattering jeans you buy this year - The Telegraph. Rosie Huntington-Whiteley, Isabelle Huppert & Linda Rodin offer up a dose of jeanspiration - The Telegraph. Selvedge Denim - "The word ‘selvedge’ relates to the ‘self-edge’ of fabric. Selvedge is woven so the fabric’s ‘edge’ can be used in garment construction. In regards to jean construction, using the outer edge of the denim (the self-edge), makes a jean a ‘selvedge’ denim jean." She Wears It Well - Jean genie Donna Ida Thornton on how to make denim work for every occasion. Shop The Meghan Markle-Approved Jeans That Keep Selling Out - InStyle. The Best Jeans Brands You Should Be Wearing But Might Not Know About - Huffpost Style. The Ladies of The Line do Guys Jeans for Girls - Jean Stories. The Story Behind Brooke Shields’s Famous Calvin Klein Jeans - The New York Times. Top 10 Most Expensive Jeans Brands in The World 2018 - World's Top Most. Total DENIM Look - OneHowTo. Waisted again: will the wedgie kill off the skinny jean? - The Guardian. 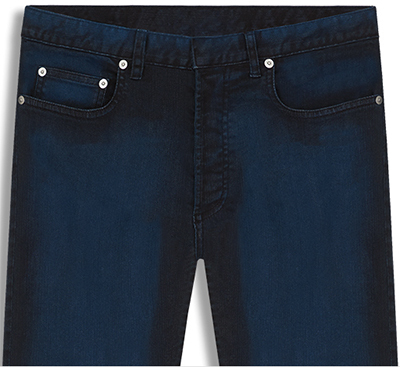 Why buy jeans when you can just get the pockets, waistband & seams? - The Guardian. Why Debbie Harry's favourite Levi's 505 jeans are the new denim style to know - The Telegraph. Why Mother Denim is reissuing Meghan Markle’s £160 jeans - The Telegraph. Why your mum should be your ultimate denim inspiration - The Telegraph. 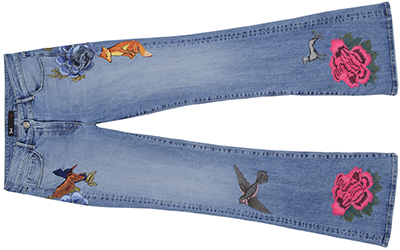 You can buy Kate Moss, Emma Watson & 98 more celebrities' worn-in jeans - The Telegraph. YVES SAINT LAURENT & BLUE JEANS - famous quote. 4 STROKE - since 2011. "Premium Designer Jeans for the Stars." Men's & women's. 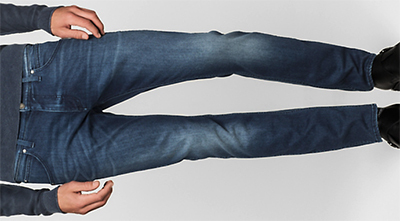 7 For all Mankind - men's. 7 For all Mankind - women's. Abercrombie & Fitch - since 1892. Men's. Abercrombie & Fitch - since 1892. Women's. ADOLFO - men's & women's. Amanda Wakeley - since 1990. British luxury lifestyle brand. Women's LEATHER jeans. AMAZON.COM - men's & women's jeans Top Brands. As April 19, 2019: 30,000+ results. Angelo Galasso - since 2009. Men's. All models. Angelo Galasso - since 2009. Men's. 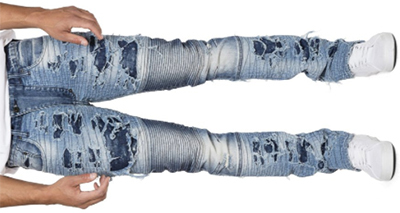 Stripped jeans with python skin. Antik Denim - men's & women's. APO Jeans - men's & women's. "Beyond Luxury." Aril77 - men's Japanese denim. Articles of society - women's. Atelier Noterman - men's sustainable denim. AYR - women's. "Nice bum. And they feel as good as they look. Made in LA from the world’s most innovative premium denim." Barracuda Fit - by Prps. Men's. BERETTA GOLD LINE JEANS - men's. BERETTA RED LINE JEANS - men's. BIJAN - by appointment only. Billionaire Couture - since 2005. "Made in Italy." Men's. 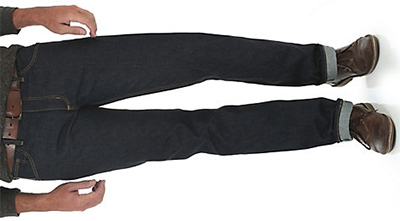 BILLS KHAKIS - men's 5 pocket denim. Billy Reid - men's denim. BORRELLI - founded in 1957. Men's. Brax - "Feel Good." Men's. Brax - "Feel Good." Women's. BRIONI - since 1945. Men's designer jeans. CARVIL - Paris since 1952. Men's. CARVIL - Paris since 1952. Women's. Chip & Pepper - "Yound and Free Since 1987." Women's. Citizens of Humanity - since 2003. "Captivates the fashion world with a rigorous commitment to cutting edge denim styling, comfort and fit without compromise." Men's. Citizens of Humanity - since 2003. "Captivates the fashion world with a rigorous commitment to cutting edge denim styling, comfort and fit without compromise." Women's. CJ by Cookie Johnson - women's. Club Monaco - since 1985. Men's. Club Monaco - since 1985. Women's. Current / Elliott - women's. Denim of Virtue - women's. 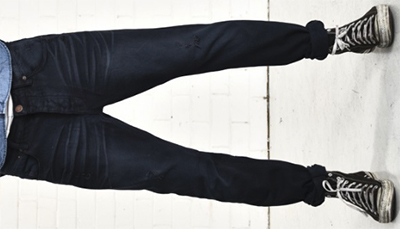 DL1961 Premium Denim - men's. 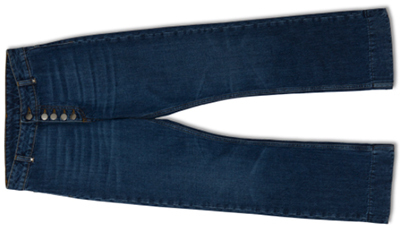 DL1961 Premium Denim - women's. DOLCE & GABBANA - since 1985. Men's. DOLCE & GABBANA - since 1985. Women's. DOMENICO VACCA - since 2002. Men's. Donna Ida - "The Ultimate Designer Denim Destination." Women's. Dussault Trashed Denim - men's. 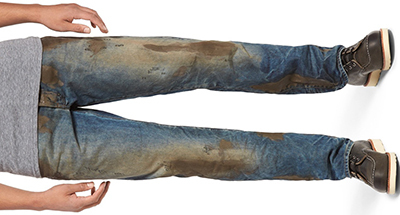 World's Most Expensive Jeans are priced at US$250,000. E. TAUTZ - founded on Oxford Street, London in 1867. Men's. Gieves & Hawkes - since 1771. No. 1 Savile Row, London, U.K. Men's. Givenchy - men's & women's. H.A-67 - men's & women's. Ida - "The Ultimate Designer Denim Destination." Women's. J.CREW - since 1983. Women's. JACOB COHËN - men's. Tailored jeans. JACOB COHËN - women's. Tailored jeans. JEAN PAUL GAULTIER - women's. 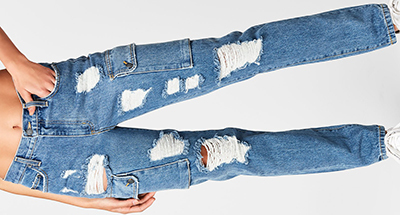 Jeans.com - men's & women's. Jordache - since 1978. "We are denim. We are style. We are iconic." Women's. Kendall + Kylie - women's. KEY CLOSET - Diamond-Studded US$10,000 Dragon/Tiger Men's Denim. Kut from the Kloth - women's. L'Agence - women's. "The French Jean." LeatherCult - "Customized for you." LEATHER JEANS. Men's & women's. 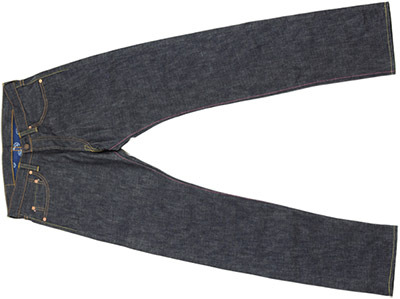 LEVI'S MEN'S 501 ORIGINAL JEANS - created their first pair of Levi's 501 Jeans in the 1890s. Locomotion Jeans Stone - men's. LORO PIANA - men's 5-pocket cotton denim with a light strech. LOVERS + FRIENDS - women's. LUIGI BORRELLI - men's. "Il Jeans." Madewell - "Good Days Star with Great Jeans." Women's. MAKE YOUR OWN JEANS - "For Men and Women. Any Size. Any Style. Worldwide Shipping!" Marc by Marc Jacobs - men's. Marc by Marc Jacobs - women's. Momotaro Jeans - since 2006. Men's & women's. "Made by hand without compromise." Handmade in Kojima, Okayama, Japan. Mother - women's. "Shop The Meghan Markle-Approved Jeans That Keep Selling Out: The Looker Ankle Fray jeans." Muji - "Denim in Your Life." Men's & women's. NOKO JEANS - Swedish design. Made in North Korea. Limited edition: 1100 units. Men's & women's. Nordstrom - men's Prps "Mud jeans". NYDJ | Not Your Daughter's Jeans - since 2007. 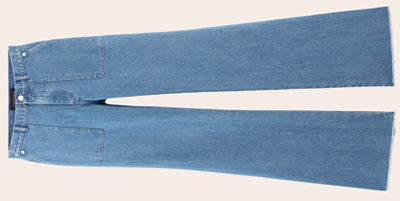 "The Original Slimming Jeans - Women's Premium Denim." NYDJ is the original slimming jean, designed with a superior fit that makes women look and feel one size smaller. Women's. NYDJ - Founded in Los Angeles in 2003. Women's. Off White C/o Virgil Abloh - men's & women's. Oger - men's. Specialised Limited edition jeans of Jacob Cohën. Prps - since 2002. "Premium Japanese Denim Jeans for Men & Women". Men's. Prps - since 2002. "Premium Japanese Denim Jeans for Men & Women". Women's. Raleigh Workshop - since 2007. "Hand Crafted Men's & Women's Denim Jeans." Richard Anderson - since 2001. 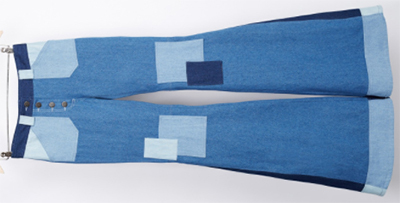 13 Savile Row, London, U.K. "Kurashiki Japanese Denim Jeans." Men's. Richard James - 29 Savile Row, London, U.K. Made in England with 13oz shuttle loom woven rope-dyed selvedge denim from Okayama, Japan. Men's. ROCK & REPUBLIC - men's. Rock Star - men's & women's. Secret Circus - "The Worlds Most Expensive Jeans." US$1.3 million. Seven Foot Cowboy - "Genuine cowboy jeans made in Lancashire." Men's. Skinny Mama Jeans - women's. sonia by sonia rykiel - women's. 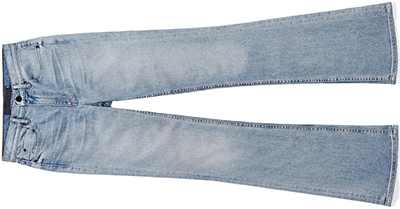 STRAIGHT LEG JEAN by CJ - women's. The Fifth Label - women's. The Laundry Room - women's. The White Company London - since 1993. Women's. Timothy Everest - "FULLCOUNT × Timothy Everest Exclusive Men's Jeans". TOD'S - men's Indigo Washed-Denim Trousers. Tu es mon TRÉSOR - women's. TURNBULL & ASSER - established in 1885. Men's. UDESHI - "Heritage Dress Jeans". The jeans are made with Savile Row style side adjusters, cotton shirting pockets, our signature striped waistband, hand sewn Fijian mother of pearl buttons, seam pockets and wider opening front pockets as on Rodeo jeans. Undercover - Founded in Japan in 1993. Men's. Undercover - Founded in Japan in 1993. Women's. Unico - the new and exclusive made-to-measure service that offers the ANGELO GALASSO customer a new dimension in menswear – Italian traditional craftsmanship, combined with Angelo Galasso’s fastidious eye for detail. Made-to-measure jeans come in various denims and fits, whilst pockets, belt loops and stitching can be personalized with rich leathers; buttons are available in aged brass, enamel and gold. Vetements - women's. "From slouchy and cropped to distressed patchwork, raw-edge finish to slim-cut and streamlined, Vetements jeans deliver all the makings of a cult classic." Viola Milano - men's denim shirts. Wildfang - "Home for badass women." Women's. Wit & Wisdom - women's.